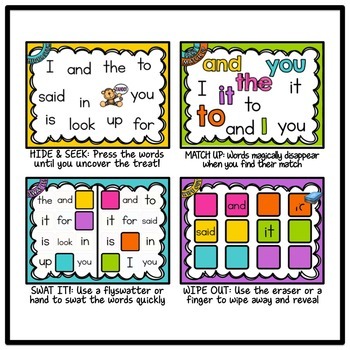 Here is a fun way to learn and practice sight words with your little learners. 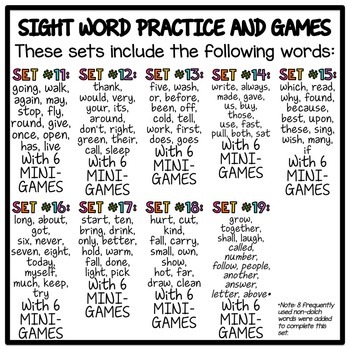 For each of the 9 sets, flip through the set of 12 sight words and then play the 6 interactive mini-games to enrich and cement the learning. Great for whole group and centers! Add this to your morning routine! 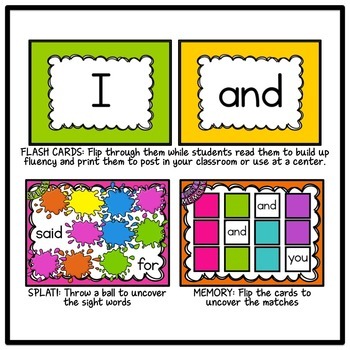 ♥ FLASH CARDS: Flip through them while students read them to build up fluency and print them to post in your classroom or use at a center. ♥ HIDE & SEEK: Press the words until you uncover the treat! ♥ Click here to download a free sample of this product! 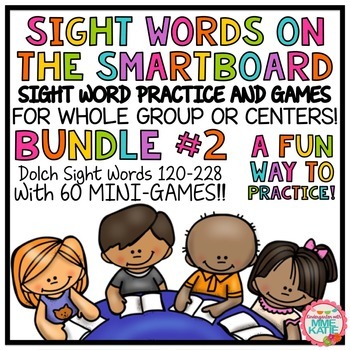 ♥ Click here to see the mega bundle with ALL 220 Dolch sight words!